But as the real world would have it, there are some that still argue and I wouldn’t have it any other way. And though I’ve done a post on the Joker and his type, here are some common arguments I come across that can be easily rested, also letting me bring up some bigger points in the process. It seems the comic book version is pretty much spoken for? Hm, wonder why. Must be because it’s the Dark Knight version of the Joker that everyone is really in love with. Not the child-killing, cackling lunatic of the comics, cartoon, or even TIm Burton’s oh-so-wacky world, but the Heath Ledger portrayal. That one. Not this one. Nobody wants to wear their own face for some reason, they’re just not jealous of that. And I get it. He’s a great character who confuses the greatest detective in his universe and anybody who can have such a stranglehold on the craziest city in fiction has got to be somebody worth admiring to a point. Buuut we’ve got to have our limits don’t we? And let’s remember that the Joker is a great character but a horrible person. So if you’re one of those people that likes to look up MBTI to say “Yeah, that’s so totally me” then just take a step back and examine your life. Just, examine the whole thing. The Joker is a character that’s Extraverted Intuition is the most apparent aspect to his personality. Everything he does, everything he claims not to plan, is all the work of “Ne” as the kids say. You’ve made it this far, you know what Ne is. It’s seeing the possibilities in everything. It’s seeing fifteen different ways things could go and having a vague idea of what to do in case you have to choose one or one of those possibilities becomes a reality. So people say that the Joker couldn’t have planned for the events that happened in the film and it’s just a ridiculous movie. Well, sure, it’s a ridiculous movie with men in costumes and face paint but that’s part of why it’s so friggin’ good. But couldn’t plan for what happened? Ehh…let’s examine a bit further. Let’s be clear that strong Ne users aren’t good planners. Every strange thing that goes on in their head is often aching to get out into the real world and weird you out. But while ENFPs (Lead Ne users, don’tcha know) are fueled by what they feel is right, ENTPs (Those other Ne leaders, don’tcha know) have their weird ideas backed up by Ti (Introverted Thinking) which takes things apart to see what their really made of. So what we have is a person that doesn’t speak of how great it would be if everyone could just get along and see what’s inside of their head to know what true peace is like (I’m looking at you, ENFP); but a person that would rather make a doughnut machine that shoots doughnuts a football field away. Not to feed people who happen to be on a deserted island but to pummel soft-skinned Nancy-boys with delicious pastries and watch jelly explode into a thousand different directions. Just use a gun? No. There’s no fun in that. Not making sense yet? Hang on, we’ll get there. 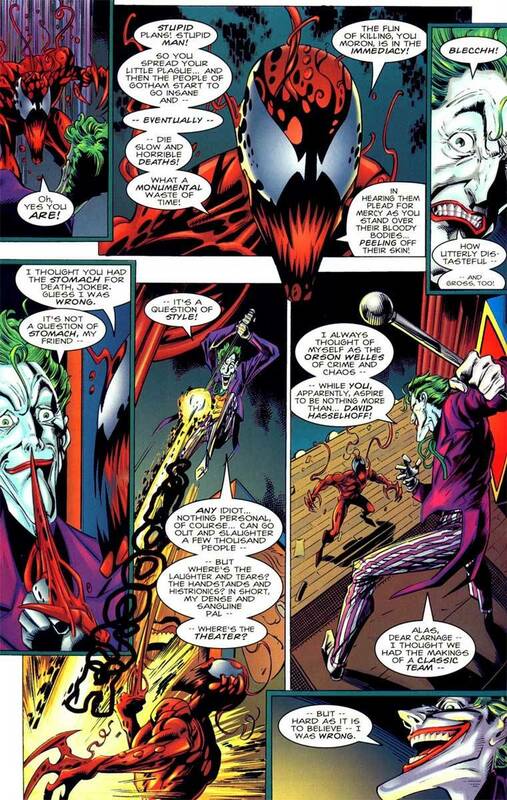 Many cite the Joker’s hospital scene as the perfect example of why the Joker isn’t a Rational. Y’know, the scene- it was the greatest scene in the movie. Here’s the refresher. Joker- When you and Rachel were abducted, I was sitting in Gordon’s cage. I didn’t rig those charges. Dent- Your men. Your plan. Joker- Do I really look like a guy with a plan? WOO! Anybody else having fun yet? If you don’t get the idea by now, stop reading because you’re refusing to get it- The Joker may not have a blue print of the ultimate master plan, but he’s got his contingencies. He’s got his ideas. So in a sense- yes, he plans. But-but-but he said he doesn’t haven’t a plan! Damn guys, he’s being facetious. It was his fault Rachel is dead and Harvey is disfigured. End-o story-o. This isn’t reading into a certain interpretation of the character, it is the character. He messes with people and doesn’t plan on it ever ending. That’s why he does it. Sounds like a Perceiver to me. The point here isn’t just to argue a fictional character’s type, I promise it’s not. The point is to say that, much like in the rest of reality, don’t dig too much. Don’t think to the point of hurting your head. Don’t read so deeply into something you want to be true that you refuse to see it any other way. Why- Dominant Se users really do chase things like dogs chasing cars. And there auxiliary Ti has their immediate impulses lean toward something beneficial. Why Not- They don’t have the vision ENTPs have, as their goals are more practical and concrete; making money namely or something understood by most people rather than to rip a new hole in the fabric of society. Here’s your example. 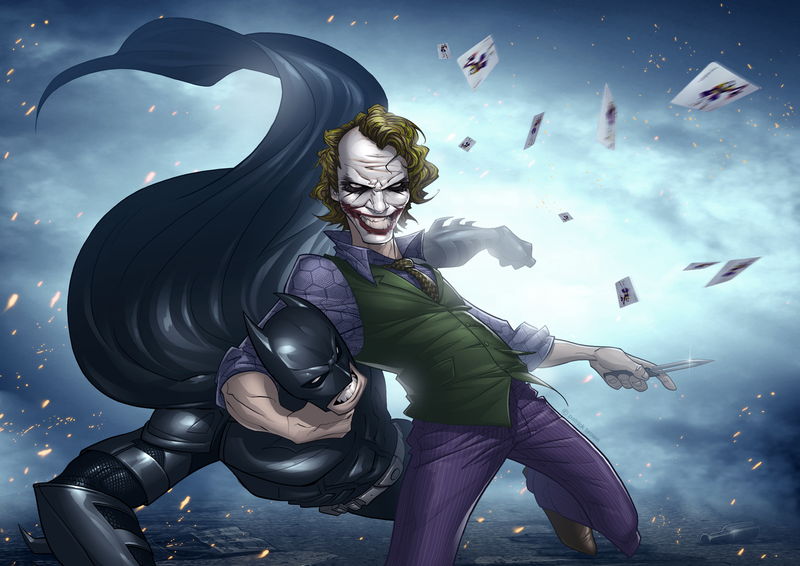 Why- As an Ne user, the ideas that come to the Joker work very much on the same level as an ENTP, with their actions and thoughts seeming random or even crazy to others. 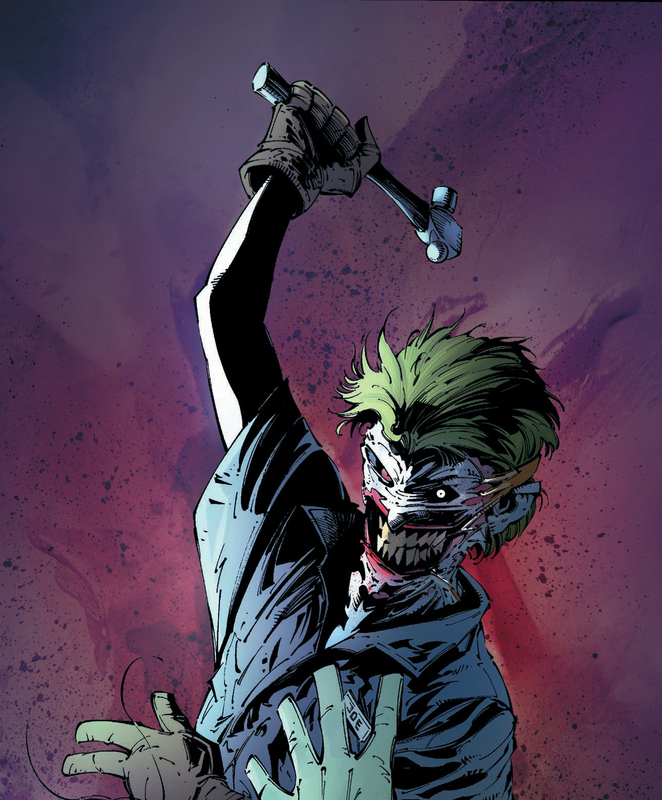 Why Not- The Joker is by no means a Feeler and breaks down ideas and society’s rules in a way that ENFPs don’t care to. A stressed out, mentally deranged (not insane) or unhealthy ENFP wouldn’t be likely to devise ingenious strategies but would actually break down. Remember- a Feeler is controlled by thoughts in stressful situations, they don’t become a dominant thinker. Why- The Joker has a way with words that always seems to work to his own tune, giving him the upper hand that “J” personalities always crave- control is their thing. Why Not- Nothing about the Joker’s ideas lean toward a real end goal. Nothing he says is written in stone and control over himself is about the only thing he actually cares about. And ENFJ? A dominant Fe user? The Joker? C’mon. We don’t need to be cynical, but skepticism is a good thing. Question yourself, learn to listen to others, especially in typology. Sticking to your own ideas and steadfast thinking can be just as bad as it can be good. This entry was posted on 03/21/2014 at 3:44 am and is filed under MBTI Rationals, MBTI Stuff, MBTI Whatever with tags enfj, enfp, entj, entp, ESTP, mbti in fiction, NT, rational, the dark knight, the joker. You can follow any responses to this entry through the RSS 2.0 feed. You can leave a response, or trackback from your own site. INFPs can really go off the deep end in reality, a “twisted” INFP will internalize their pain and if it gets bad enough, may seethe outward to affect those around them. If their principles are corrupt and misguided and allow them to see themselves as frustrated and mistreated as Hitler was thought to be doing, they can make for some pretty strange enemies. But there is nothing about the cackling Joker to suggest that Fi is his dominant function; as even a morally depraved INFP doesn’t express enjoyment or anger the way the Joker does, who sees the world as one giant experiment where any outcome is the “right” outcome. His way of looking at life is through the bizarre scope of someone who truly doesn’t care about human life rather than an Fi dominated person with a grudge against it. ENTP’s are the second most future oriented type…. but unlike INTJ’s as they see possibilities everywhere they have multiple future oriented and accurate plans which they choose to there advantage or most likeing…. also making them in long term battles of strategy, wits, tactics etc not only the probubel winner but also the monkey rench thats ruins every one else long term plans from the beggining causing many to panic and work to the ENTP’s favor…. I honestly think the author is a xxtp type. But can’t tell which one. I think he’s an ENTP. Definitely talks enough in those amazing new videos he’s been posting. Good analysis. An anti social ENTP. So they are better at a tactical-strategy «game» like the Joker loves them. How ’bout Leto’s Joker ? What do you think about Cameron Black. He seems ENTP no?